A prototype of the Japan Ground Self-Defense Force’s next-generation armoured personnel carrier was unveiled in January 2017. Image courtesy of Acquisition, Technology & Logistics Agency (ATLA). The new APC is the successor to the existing Type 96 armoured vehicle. Image courtesy of Acquisition, Technology & Logistics Agency (ATLA). 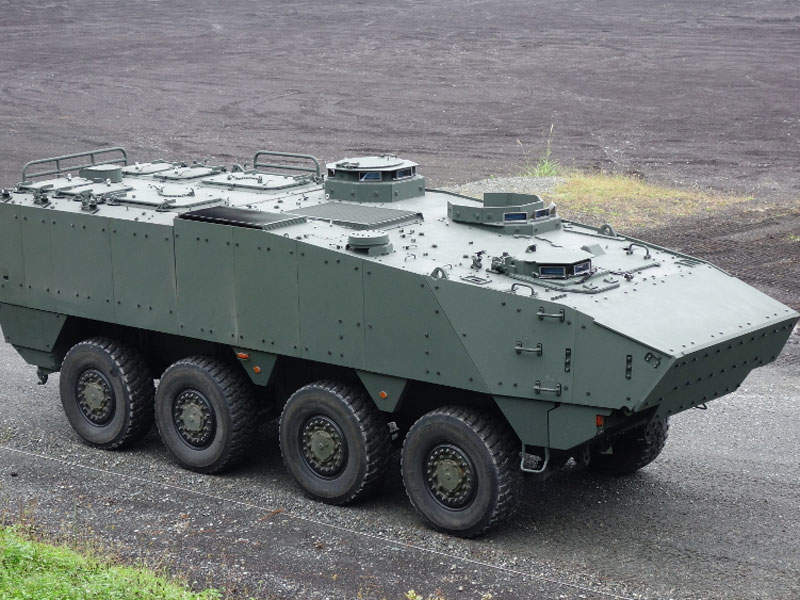 The new armoured vehicle is designed by Komatsu’s Defence Systems Division. Image courtesy of Acquisition, Technology & Logistics Agency (ATLA). The top speed of the new Japanese APC is 100km/h. Image courtesy of Acquisition, Technology & Logistics Agency (ATLA). The new APC can carry up to eight dismounted soldiers. Image courtesy of Acquisition, Technology & Logistics Agency (ATLA). The Japan Ground Self-Defence Force (JGSDF) received a prototype of the next-generation 8×8 armoured personnel carrier (APC) in January. The prototype is scheduled to undergo a series of tests until 2019. The Japan Ministry of Defence invested approximately $41m in the production of the new armoured personnel carrier. 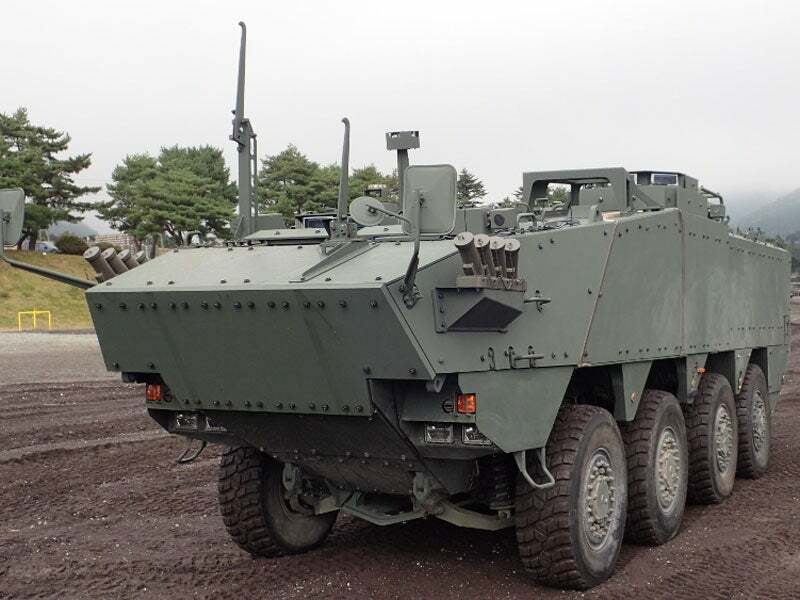 The improved armoured vehicle is being developed by Defence Systems Division of Komatsu and is intended to replace Type 96 8×8 APC that has been in service with the Japanese Armed Forces since 1996. The vehicle is provided with improved protection features, when compared to the Type 96 vehicle. 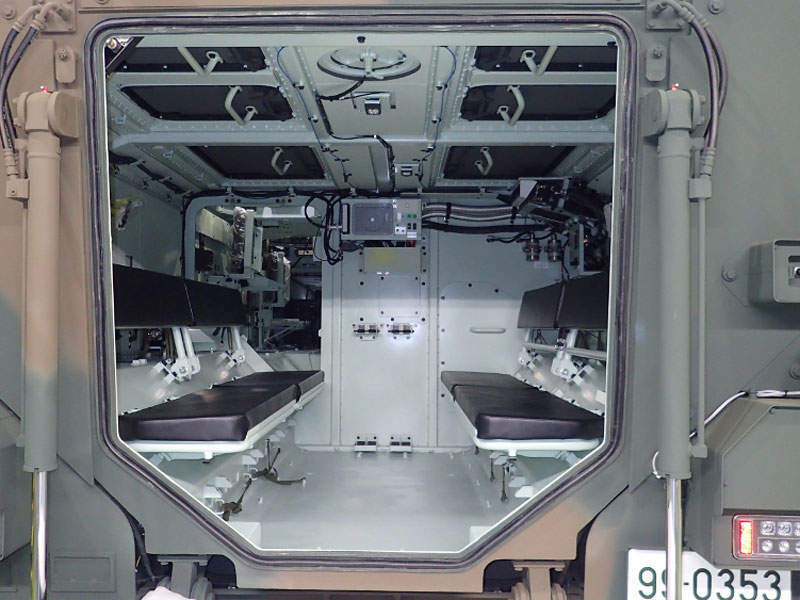 It is designed for use by JGSDF’s combat units in missions such as peacekeeping, counter invasion and transportation of infantrymen to the battlefield. 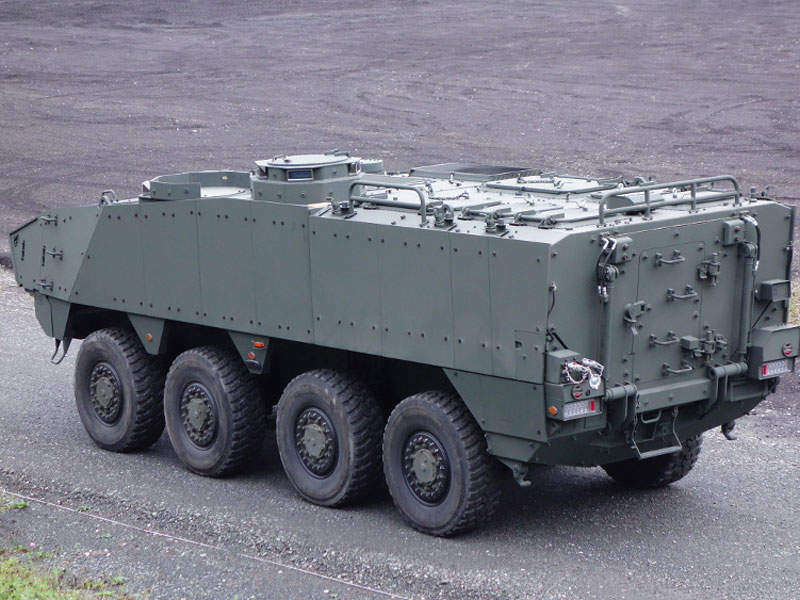 Based on 8×8 wheeled chassis, the new armoured personnel carrier features a modular design with V-shaped hull. It is manned by three crew members, including the driver, commander and gunner. 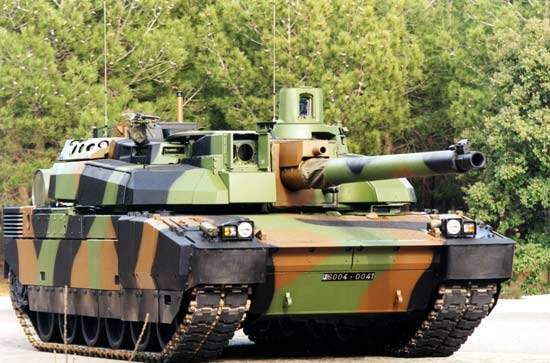 The vehicle is 8.4m-long, 2.5m-wide and 2.9m-high, and, with a combat weight of approximately 20t, can carry up to eight dismounted troops. The driver’s seat is located in the front-right of the vehicle, while the commander and gunner seats are placed behind the driver on the left side. The dismounted personnel are seated in two long bench seats placed on either side in the troop compartment. A power-operated ramp at the rear is used to provide entry and exit for the troops. The troop section is equipped with five roof hatches for observation, firing and emergency exit. The new-generation APC can be armed with a 12.7mm heavy machine gun to defeat enemy armoured vehicles, military installations, aircraft and buildings. The vehicle’s V hull is fitted with all-welded steel armour plates to provide increased protection against mine blasts and improvised explosive devices. A set of four smoke grenade launchers are installed on either side of the forward part of the hull to create smoke screens in order to enhance vehicle survivability. Add-on armour is installed to provide occupants with a high degree of protection, from projectiles, ballistic threats, shock and vibration. The wheeled armoured vehicle also features a laser warning device and NBC (nuclear, biological, chemical) protection system. The driver’s front view is provided through three day periscopes fitted to a single hatch. Multiple day periscopes are provided round the commander’s hatch for better all-round visibility. "The Japan Ministry of Defence invested approximately $41m in the production of the new armoured personnel carrier." The gunner’s station has a circular opening for mounting a machine gun. It is attached with three roof-mounted observation periscopes for situational awareness. Power for the new-generation armoured vehicle comes from a 500hp diesel engine located in the middle section of the vehicle hull. The APC comes with improved hydropneumatic suspension system to provide driving comfort on rugged terrain conditions. The propulsion system delivers a maximum road speed of 100km/h and a range of 800km to 1,000km. 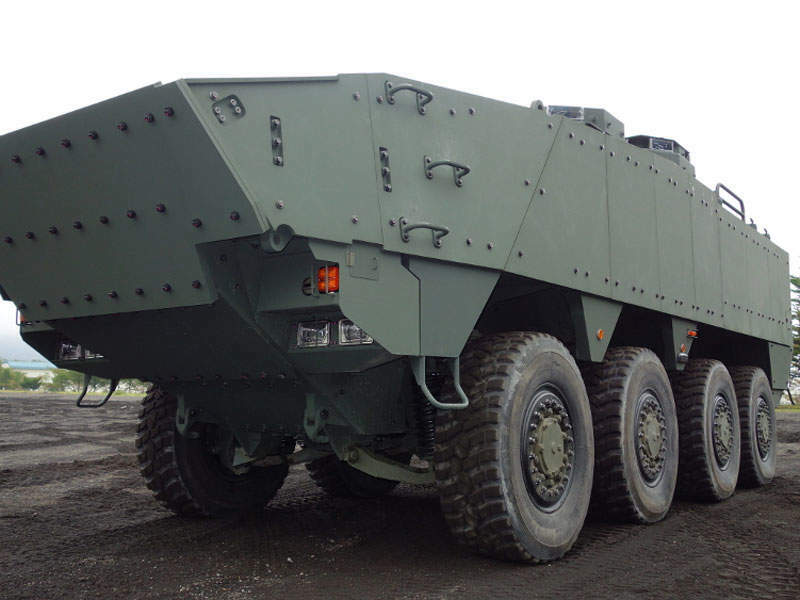 The eight-wheel drive armoured vehicle is capable of climbing grades of 60% and side slopes of 30%. It can cross vertical steps of 0.6m and trenches of 2m, and its fording depth is approximately 1.2m. The APC also supports amphibious operations.